If you are a beginner at mountain biking, there’s probably a lot that you don’t know about the sport. Most people have the “know it all attitude”, especially if they have prior knowledge about bikes, and this might end up going against them as time goes by. It is always good to go into this sport with an open mind so that you learn as much as possible. If you do this, you will learn that it is good to avoid the following mountain bike mistakes. For starters, you have to get the right bike for the trails. If you have done road biking or city biking, forget about these bikes. Trying to go off-road with an unworthy bike will make you feel uncomfortable, fall more often and probably destroy the bike. Disk brakes for effective braking. You should also pick a bike that suits your size so that you get comfortable when riding. A bigger or smaller bike will cause you pain in several parts of the body because you will strain yourself riding it. A mountain bike does come with a saddle but you should not get very comfortable around it. In fact, you’ll be better off in a standing position as you ride through rough terrain because of a couple of reasons. First, your legs will provide more shock absorbing abilities than the bike’s saddle and suspension. Two, separating your body from the bike gives you more balance because you can lean left or right to counteract the forces exerted by the bike due to the rough surface. Everyone, including adults, is always attracted to the thrill of splashing water. On a biking trail, this can even be more tempting because there are not many people watching you. 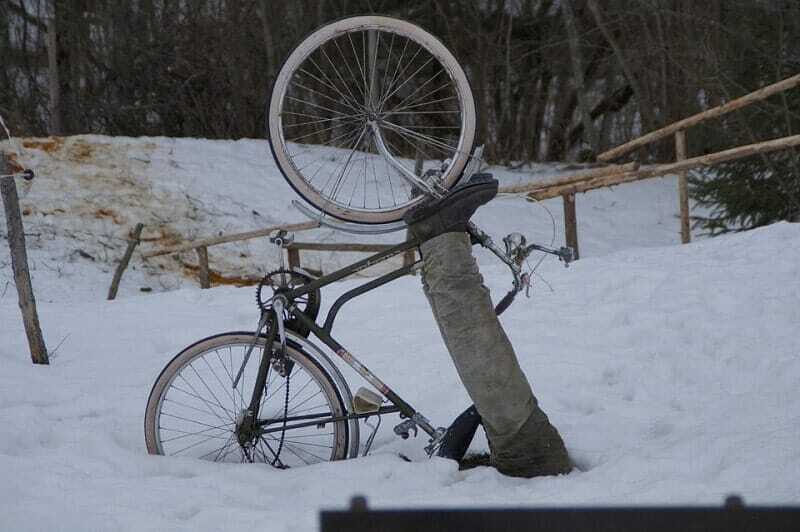 However, continued exposure to water destroys your bike’s components slowly by slowly. Your bearings might start rusting and become harder to rotate. Your chain might even rust deep enough to snap as you tackle steep hills. To avoid this, always carry your bike, especially across the deep waters for instance as you cross rivers in the woods. Unlike other biking expeditions where biking gear is usually the same, mountain biking gear varies according to many things such as weather, time of day and location. Location usually determines the weather. For instance, if you will be going through trails on high altitude, there’s a high possibility of experiencing rain or cold weather. Because of this, you need to pack clothes in layers so that you can keep warm as the weather changes. Also, if you plan to go biking during the early hours of the day, more layers of clothes should be packed as compared to if you’ll be riding during the warmer hours of the day. Most beginners usually assume that the back brake is safer to use. Because of this, they end up causing wear and tear to it as well as the rear tire faster than the front parts. Front brakes are actually more effective if used carefully. In fact, cars usually have more braking power on the front wheels because it is more effective at stopping the vehicle. On mountain bikes, you need to use both by finding the perfect balance when pressing the brake levers. This might take some time but once you get it, you’ll have improved braking when tackling all kinds of terrain. If you are pedaling through sharp corners or rough terrain, there is a high chance of pedal strikes if you ride using lighter gears. Lighter gears make you cycle at a higher tempo and thus, your pedals might strike the ground, causing your tires to rise, leading to a loss of control and falling. The ideal thing to do is to use a harder gear in such situations and try to balance the pedals on the mid-section. Harder gears might be strenuous, but this is much better than crashing or destroying your bike on the trail. Whether you are using the clip or flat pedals, never balance your weight on your toes as you press down the pedals. While it might feel more comfortable to do this, it exerts unnecessary pressure on your leg muscles and this might end up hurting later on. As you can see, there’s probably a lot here that you did not know. This is just a short list and therefore, whether you are a beginner or an experienced biker, there is a lot more do’s and don’ts about this sport that you can learn if you always have an open mind.